Rochford Street Press is proud to announce the release of a new chapbook by young Victorian poet Robbie Coburn. 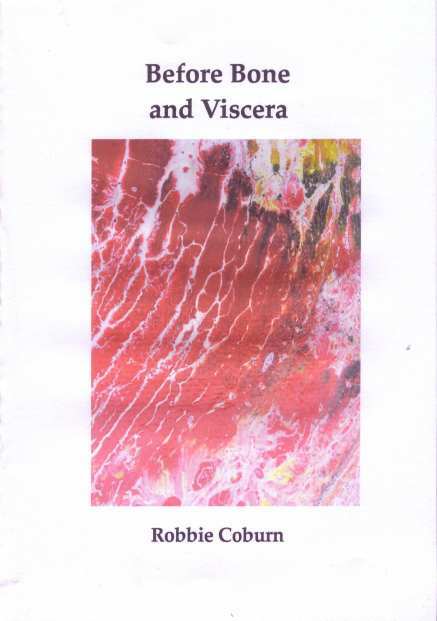 Before Bone and Viscera is is Coburn’s second chapbook and features a cover illustration by Kit Kelen. Robbie Coburn was born in June 1994 in Melbourne and lives in the rural district of Woodstock, Victoria. His first book-length collection of poetry Rain Season (Picaro Press) was published in 2013 and he is well into a second book titled the other flesh. Before Bone and Viscera is his eagerly awaited second chapbook. He has also recently finished writing an autobiographical novella, A Day without Me. This entry was posted in Issue 12, Robbie Coburn and tagged Australian poetry, Chapbook, poetry, Robbie Coburn, Rochford Street Press by Mark Roberts. Bookmark the permalink.